My first home care client was a lovely elderly lady with memory loss that loved to cook. She ordered groceries from a local grocer, and cooked daily. She would leave food sitting on the counter top, or in her refrigerator for weeks at a time. She took food to her neighbors. Her son lived several states away and worried that she would give herself or a neighbor a severe case of food poisoning. Scenarios like this are common reasons that people choose to reach out to me for advice/help with their loved one, to determine if their living arrangement is still safe. Whether it’s a fall, getting lost while running an errand, or potential food poisoning, I begin each conversation with a series of questions that help me understand the loved one’s personality, assess their safety and cognitive function, and determine if the living arrangement is still safe for them. Are they placing only themselves at risk, or are their decisions creating a threat to others? Do these decisions and behaviors cause an inconvenience that only impacts them, or are they requiring intervention from friends or family to help them when they have misjudged? These are complicated questions with no easy/clear answers, but the process of asking these questions will help you know that you have given careful thought when you must make hard decisions that others may question. All of us take risks that seem excessive or unnecessary to others. Your loved one may not worry about falling at home and breaking a hip, but if other people are affected, they should consider the impact beyond themselves. Accidents will happen, and most families count it an honor to help when they do. But behavior that increases the likelihood and severity of accidents must be evaluated and addressed. What’s the Impact: Not all bad decisions are due to being inconsiderate. Sometimes the person has a lack of insight into their behavior. They misjudge the severity of the risk, or the frequency of needing someone to “rescue” them. As you evaluate the safety of a loved one in their current environment, be careful to arrive at a balanced assessment that is neither too casual, nor too overbearing. Look for patterns that recur and check with a doctor or a person with experience in working with the elderly to make sure your thought process is measured enough to maintain the person’s rights but proactive enough to protect them from possible harm to themselves or others. 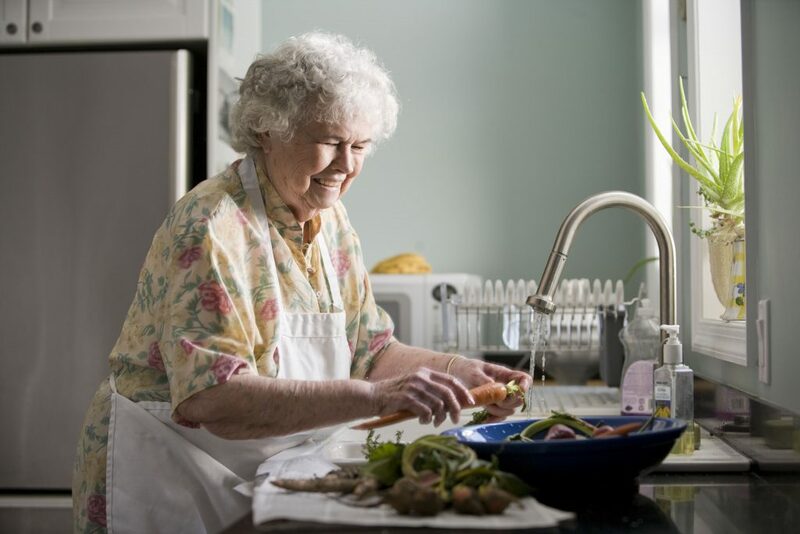 My first home health care client with the love of cooking…My job as her home health aide was to visit weekly, and clean out her refrigerator, throwing all the food away that had been cooked and stored for over a week. Other than her fondness for cooking, and her lack of food safety habits, she was relatively safe living in her own home. We assessed her personality, current environment, risk, cognitive awareness and determined that with a little help in the kitchen her living arrangements were manageable. What habits or behavior would cause you to worry, or wonder if your loved one was safe at home? If you are concerned about a loved one and looking for direction, please contact me. Later in my home health career, I met a lady who was becoming forgetful but seemed safe in her home. Until her daughter discovered who was visiting her…..check back next week for the full story or subscribe below to receive articles straight to your inbox. is changing. A friend dies, a new online program is the only way to get something, their favorite restaurant or church is closing. Can you imagine the daily changes our 80 year olds deal with? Thank you Barb for being there to navigate others through these things.